I want to thank all of you who have been asking for progress on my recovery. I am not a drunken sailor anymore and doing very well for being thirteen in a month and a half. To help you prevent your dog from being affected by vestibular syndrome, Peter aka Dr. Dobias wrote an article on vestibular syndrome. Here is the link if you have not read it yet. It has been 6 days since I found my lovely Skai on the bathroom floor unable to get up. Today, I am happy to tell you that he is almost back to normal. From time to time, he still has the odd ‘drunken sailor’ moment but his speed of recovery has surprised everyone involved in his care. P-mail News - Skai's trip to Ottawa, Montreal and visiting Cirque du Soleil / How long does it take to cleanse mercury out of the system? / Simple test of evaluating your dog's hormonal balance. Another week has gone by, time flies like crazy! My dad, Dr. D. doesn’t like time going fast because that means that I am getting older. Dad tells me that dogs only come with one glitch - our life span is shorter than yours. He told me that most people worry about their dogs because they love them. Some people even wake up in the middle of the night, checking to see if their dogs are still breathing. I understand because no one wants to lose their 'bestest' friend. If you read on I will reveal what you can do to help with this fear. I know it is a drag that we do not live as long as you humans do but this way it is easier to teach you what love is. We love you no matter what, we don’t care if you have the latest mobile phone or designer clothes, big nose or floppy ears. We don’t care if you come with 10 bones or 10 million bones, a big dog house or a small dog house. Our biggest task here on Earth is to teach you how to love and if our time was not limited, you would not learn about love as much. My dad, Dr. D., knows very well how much your dog means to you because he is a dog lover too! It makes him really happy that he can help you get some extra months and years with your bestest friend. What dad loves the most is teaching you about a natural raw or cooked diet and supplements. He also loves reading the stories and testimonials about people using GreenMin, SoulFood, Healing Solution and other products. But back to the topic of worrying about our age. I have put together a list of things that you can do to worry less and enjoy us more even when were start getting older. Close your eyes and imagine that you amplify the sensation, turn the “volume” up. You will see that the worry will get weaker and eventually will disappear! If someone asks you how long your dog’s breed lives for, say that dog’s do not have an expiry date…. 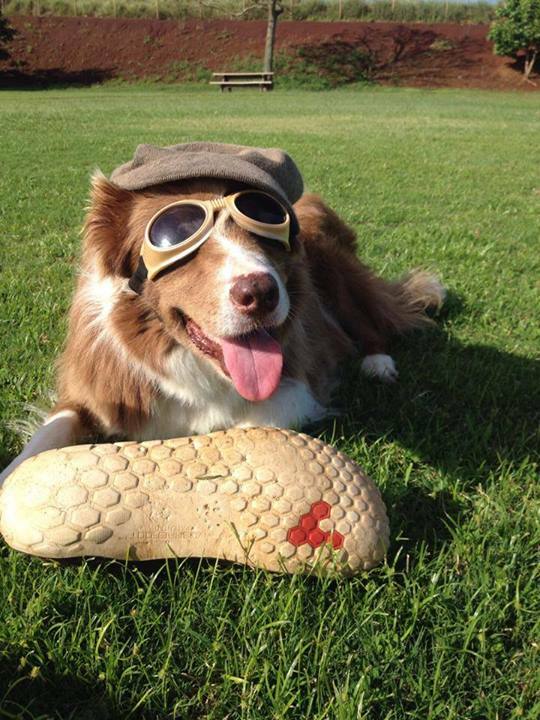 Make sure that you spend plenty of time with your pooch. Ensure that you help him or her to remain strong through walks, going up hill, jogging and play. Take many pictures and videos because because down the road, they will be a good reminder that we dogs never die, we just get even closer to your heart…. 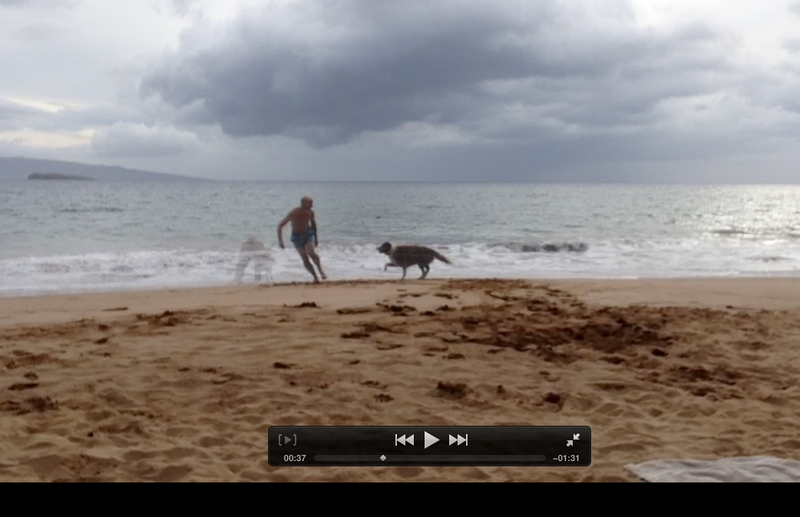 PS: I have asked dad to record this video so you can see that senior dogs and 50 year olds can still act young! We want to inspire you and will be sharing info on what we both do to keep healthy and fit in the upcoming newsletters. 7 Steps to treating arthritis and stiffness in dogs naturally.